Tom Carroll is a Certified Relocations Specialist (CRS), an Certifed Buyer Representative (CBR), a Certified Commercial Investment Member (CCIM) and a graduate of the Realtor Institute. His twelve years of real estate experience have all been with RE/MAX. He is also past President and Founder of the Northern Massachusetts Commercial Investment Board of Realtors, past president of the Service Club of Andover, and a past member of the Finance Committee of St. Robert's Parish. Tom brings 20+ years of sales experience to the Andover real estate market. Selling your property is my full-time job—a job that demands professionally trained skills, high energy, dedication and good, old-fashioned effort. He loves doing business in the Andovers. It’s his home and he knows people in both communities and stays involved in local activities. "People selling their houses always have needs in addition to getting top dollar for their homes. But I view selling your home as a piece of a much larger picture and I am glad to refer my clients to qualified financial planners, estatelawyers and insrance professionals. To me, helping is a natural part of selling. I’m pleased when my clients say "...Tom Carroll gets results. "Tom Carroll recently sold our house in a challenging market within three weeks. We have moved 14 times, and have worked with many very competent realtors, but none of them compare with Tom and his team. He is professional, knowledgeable, dedicated and committed to his clients. He and his team, demonstrate the highest levels of integrity and performance. We are proud to have Tom as our realtor and our friend. We highly recommend Tom and his team, whether you are looking for your first home or the luxury home of your dreams." "Tom Carroll and his team really delivered when selling my in-town Andover condominium units. His wealth of contacts and full-time commitment to results got the job done. 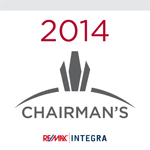 I'd recommend RE/MAX to any seller wishing to maximize sales in a timely fashion." "Last fall we found the home that we eventually purchased in Pinehills, Plymouth, MA. We needed to move fast, however, we had not yet put our Andover home on the market and we were going into the 4th quarter of the year, a slow time. This was a challenge. I called Tom Carroll. Tom and his team were outstanding! The pictures for the web site were great. Tom worked with us to realistically price the home and, he had the contacts to quickly work with us to have the home ready to show. His professionalism in all aspects of the sale was amazing. "Tom, this is a long over due note to thank you for the great job you did in marketing and selling our home in Andover. Your 'target price' was right on. We had an offer in only 2 weeks - amazing! The closing went so easily without any issues. Your team (especially Judy) is top notch and certainly helped the process go so smoothly. Thanks so much! "Thank you for all your hard work toward the sale of the house. Your efforts and guidance were invaluable and made a very daunting project so much easier to navigate. Best wishes for continued success. "Just a quick note to thank you for the very professional work you did to get the condo sold. I know we all share in our appreciation." "Tom, thank you so very much for the beautiful portrait of our home. We will always enjoy it and remember you made it possible. It was a complete surprise & will always serve as a reminder of your outstanding service to us. Thank you again!" "You were certainly an excellent realtor not only working hard to sell our property but also going out of your way, as did Judy, to accommodate me concerning all the extra details that needed to be attended to. I especially appreciate your help during what has been personally for me a very trying and difficult summer. Thank you for all your help and for your thoughtfulness in having the sketch made for us. It's just great! "We want to let you know how much we appreciate all your help and support preparing the condo. We are very pleased with everything. "Thank you. I think we’d still be at Surrey Lane if you hadn’t rescued us. You’re really Tom Terrific. Your wonderful group of associates (that includes Judy) were a joy to work with. They were much appreciated. Come visit us and we'll have a tour and lunch." "Thank you so much for the beautiful picture of our new home. It is the only picture on the wall right now! I also want to thank you for all of your patience in our house hunt. We are all settling in and everyday we find another reason to love our new home. Thanks again." "Thank you so much for the beautiful drawing of our new home! It is such a lovely gift. We are thoroughly enjoying our new home. Every once in a while I check up on the website and see some of the same properties. We are so glad that everything worked out. We just love the house and the property. Thank you again to you and your staff, Hope to see you soon!"